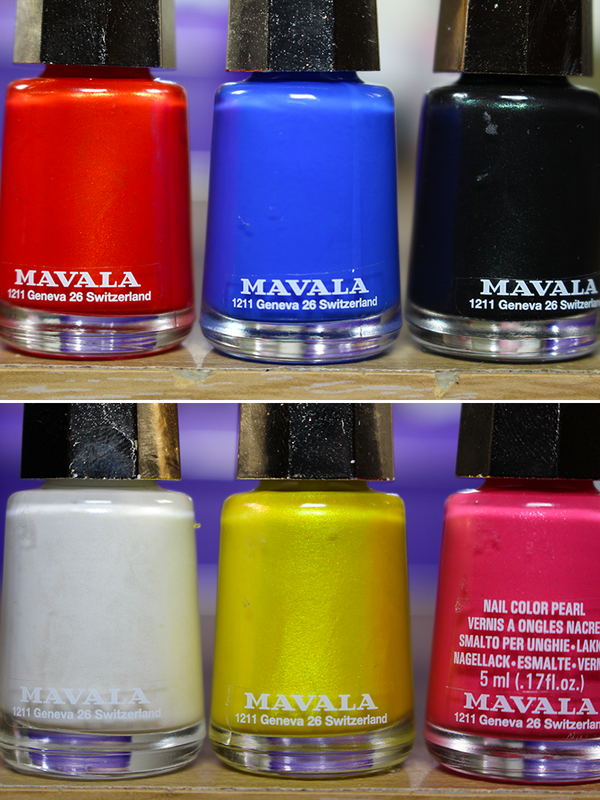 See In Spring With Mavala's Technicolor Collection! I think it’s safe to say that Spring has officially sprung and with it comes a brand new 6-piece collection from Mavala, called The Techni-Color Collection. A stark difference from last Springs’ muted pastels and nudes, this collection has a mixture of vibrant, flamboyant and bold colours to see you through the season. Black Night is a gorgeously mysterious jet black shade with hints of green sprinkled within for that gothic chic look. Cobalt Blue is a ‘punch you in the face’ startling electric (almost neon) blue with a cream finish. I love this one! Orange Fusion is a solid, warm red/orange colour with a slight gold shimmer running through it to give nails that 3D effervescent look. Arty Pink is a pretty baby pink shade with a subtle reflective sheen that I think would look amazing with white accessories. Cyber Yellow is a ultra fluorescent yellow with green undertones for the dare devils out there! This one is beautiful and I can see someone like Lupita Nyong’o wearing this on the red carpet! Antarctic is a frosty white, almost creamy shade with a slight shimmer. I’m really impressed with the pigmentation and opaqueness (that’s a word right?!) of the polishes. In the swatches above, only one coat has been used on each nail. Amazing right? Of all the colours, the ones that stick out for me are Black Night, Cobalt Blue and Cyber Yellow. The Mavala Technicolor Collection Polishes are £4.75 each and will be launching in Boots in May. Will you be buying?